This triple action solution cleans, lubricates and protects. 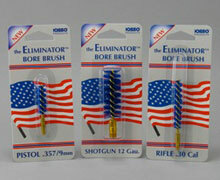 It penetrates to loosen powder, carbon, and plastic wad. 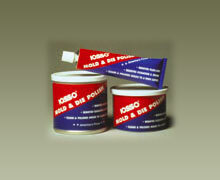 It’s is an excellent lubricant for parts, and inhibits corrosion. 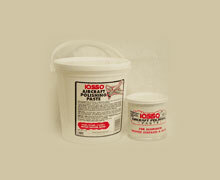 For Bore cleaning, apply the solution to a patch, run it through the bore several times. 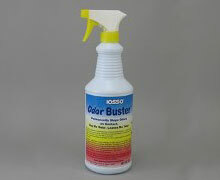 Next apply Iosso Bore Cleaner sparingly to an Eliminator Brush. Run through the bore one or more times and follow with clean, dry patches until one comes clean. 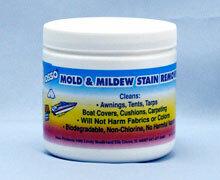 Lastly, moisten a patch with solution and run through the bore. Follow with a clean dry patch. This solution is biodegradable, has no petroleum distillates, or ammonia. It will not freeze or dissipate in hot weather. It lubricates in extreme temperatures to avoid weapon jamming. Works to -74F(-65C). This bio-based formula is made from plant extracts. While keeping our environment healthy, it also reduces our dependence on foreign resources. USDA Certified and designated for federal procurement.